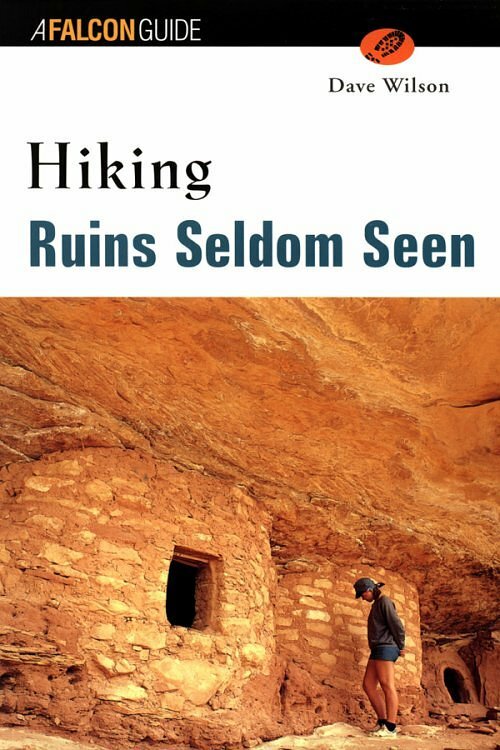 This book has information about 21 different Indian ruins in Arizona, all of which are said to be less well-known. 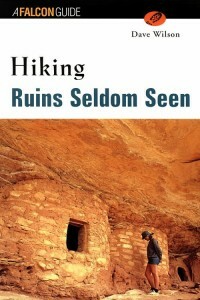 Although the version on Google Books has some pages left out, several chapters are available. 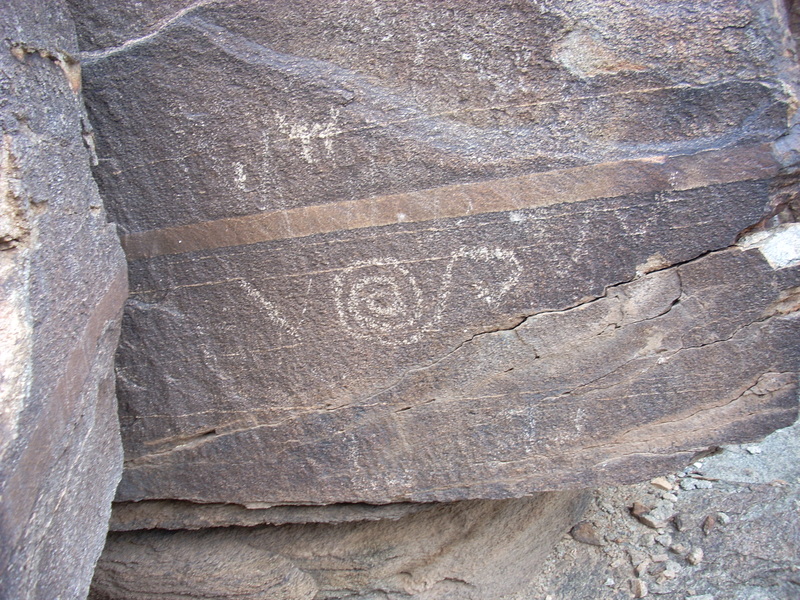 Each chapter includes both longitude/latitude coordinates and maps. 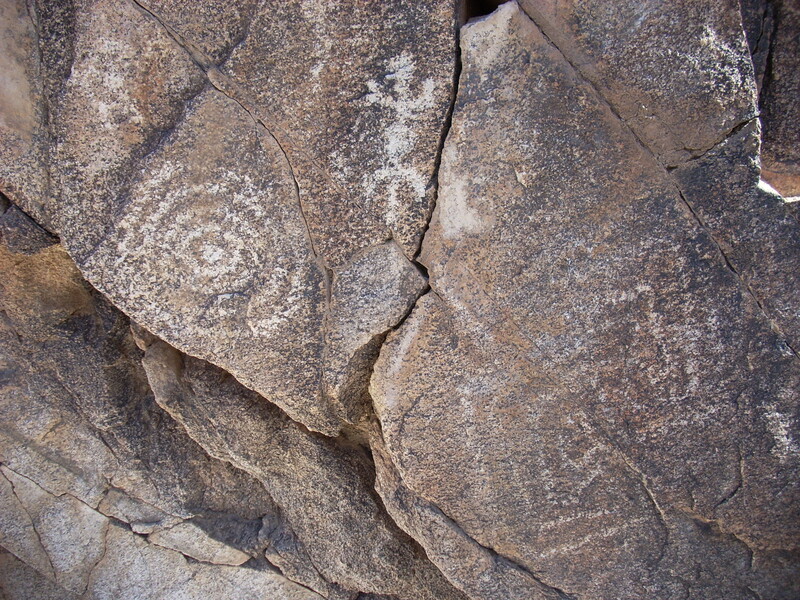 In addition, here is the book’s website. 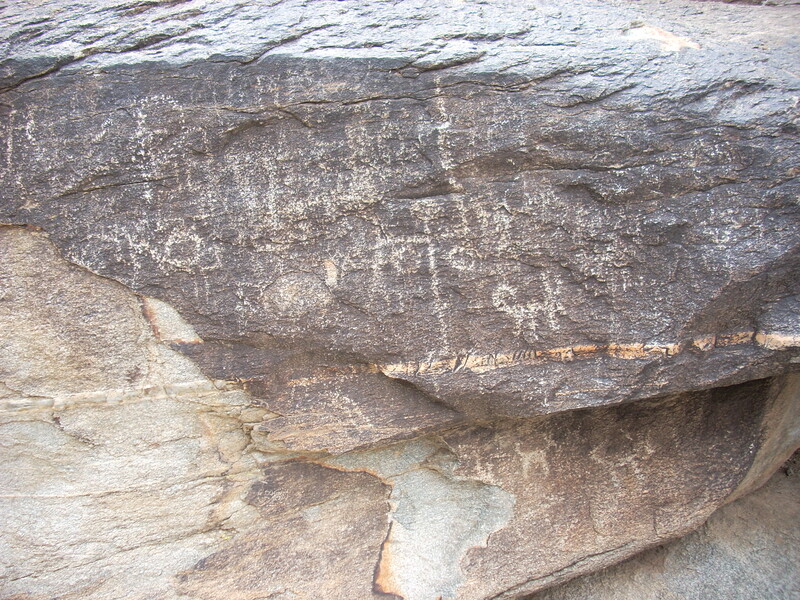 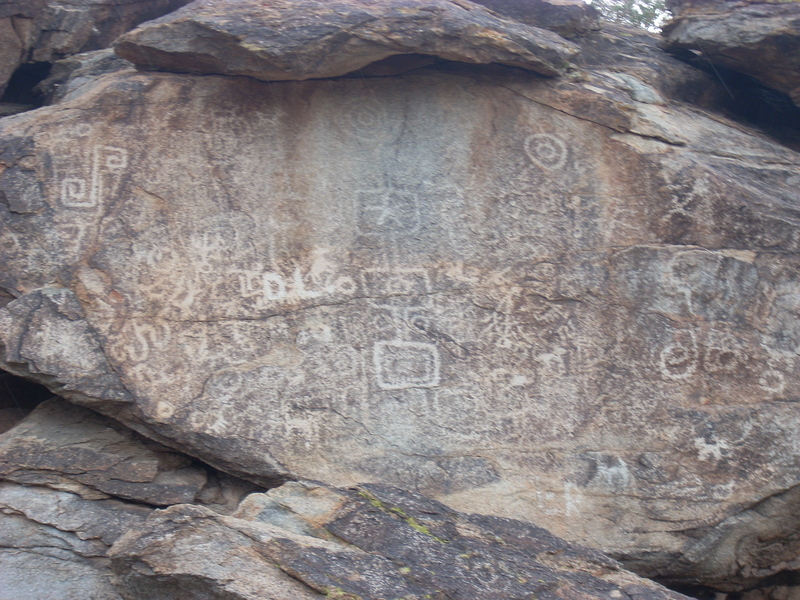 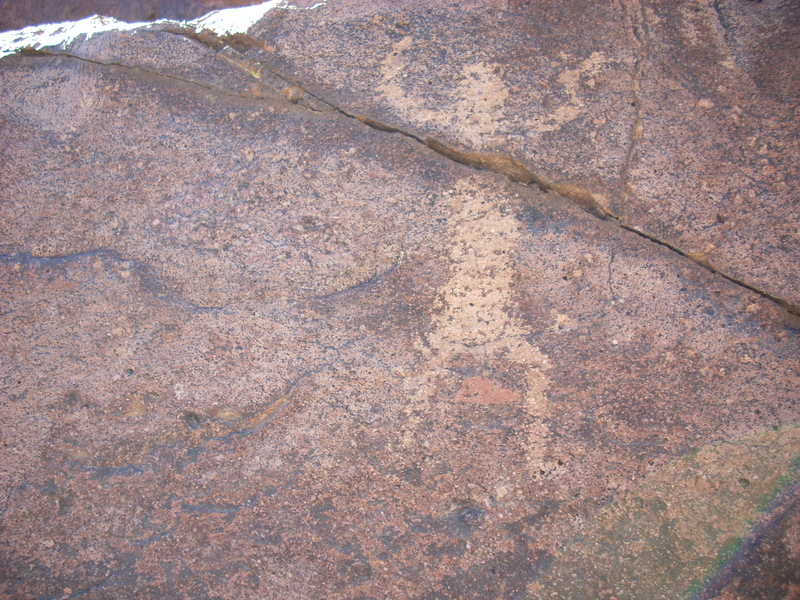 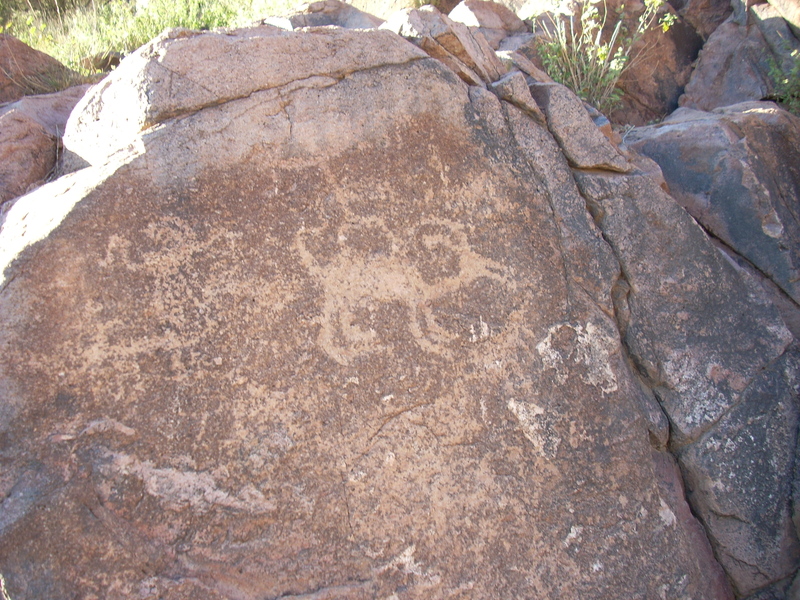 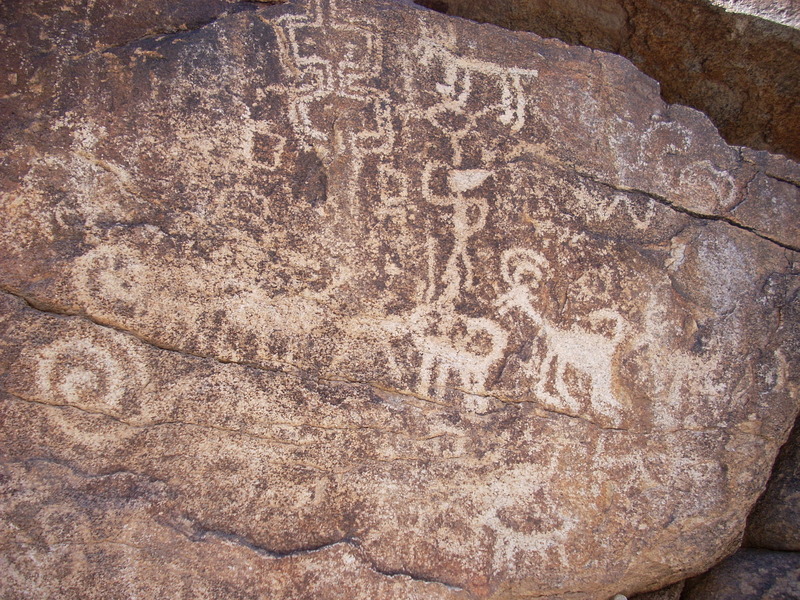 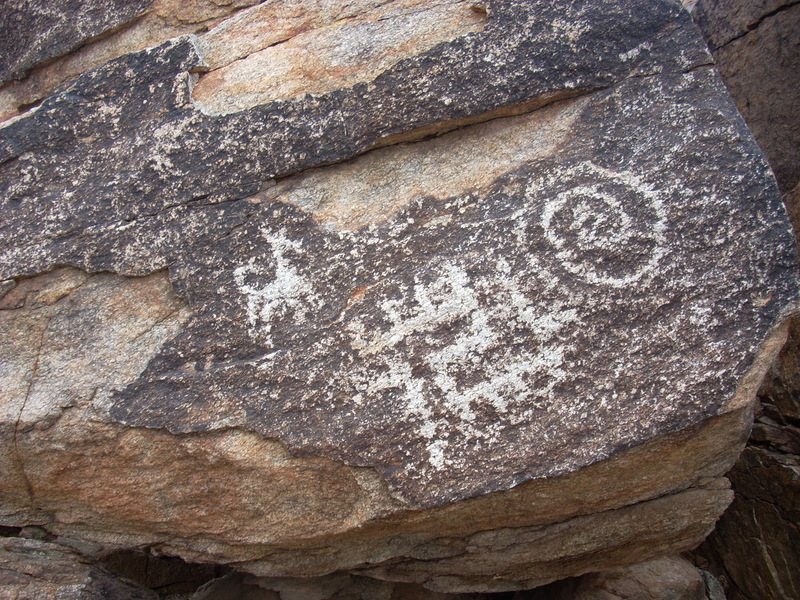 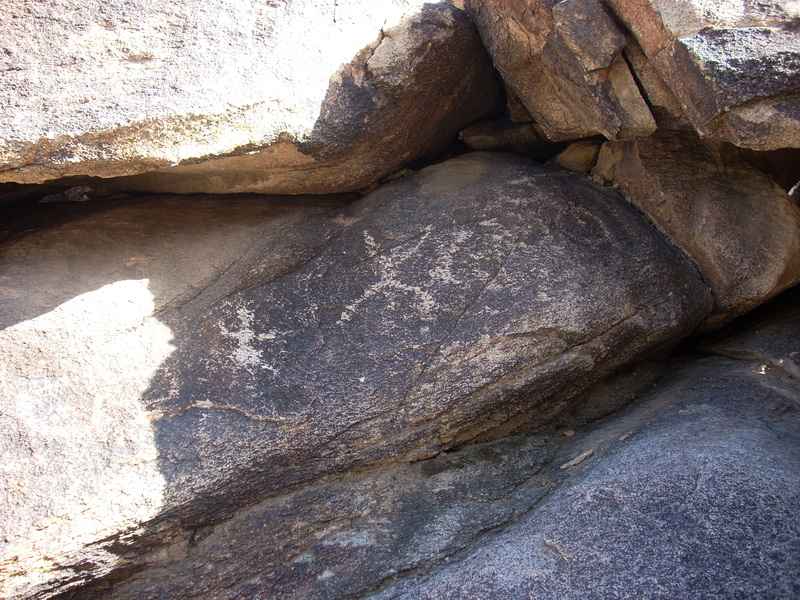 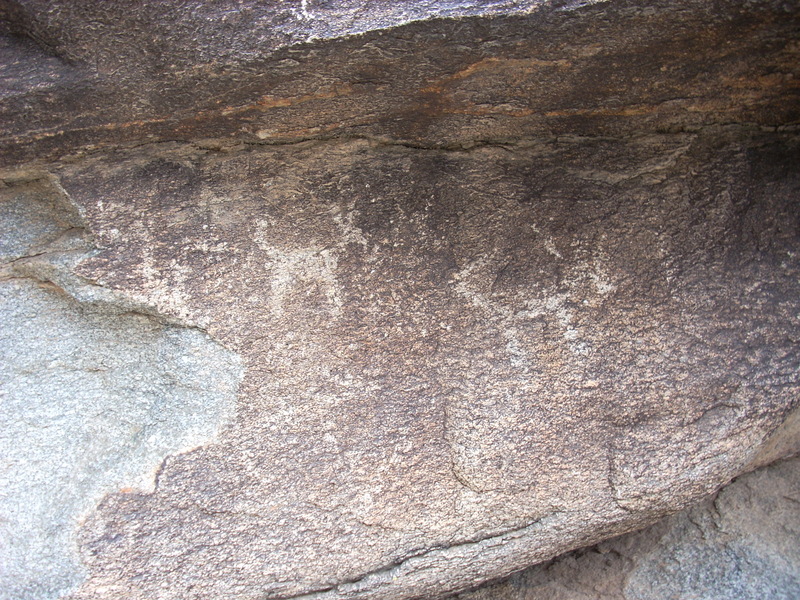 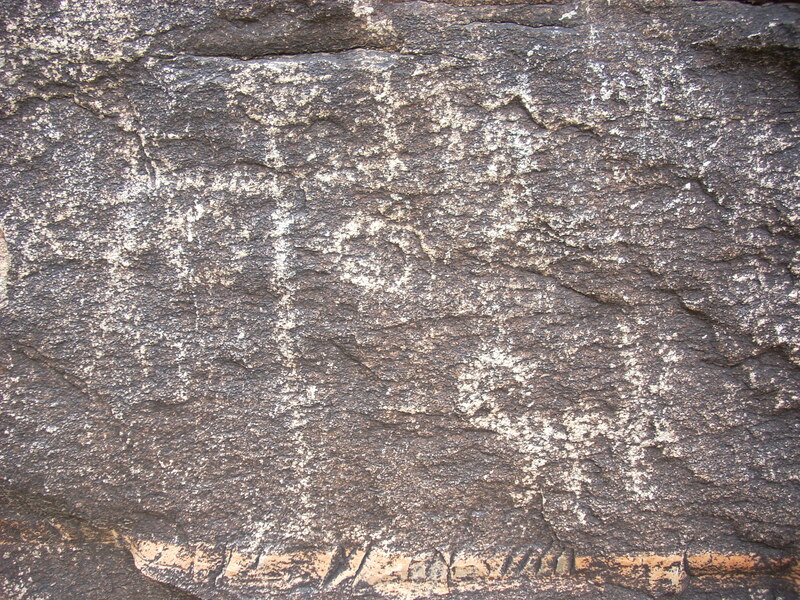 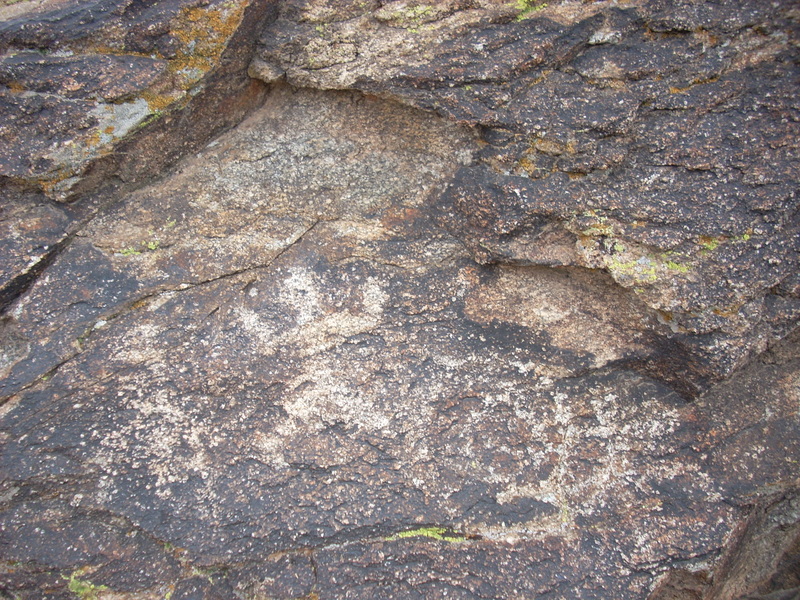 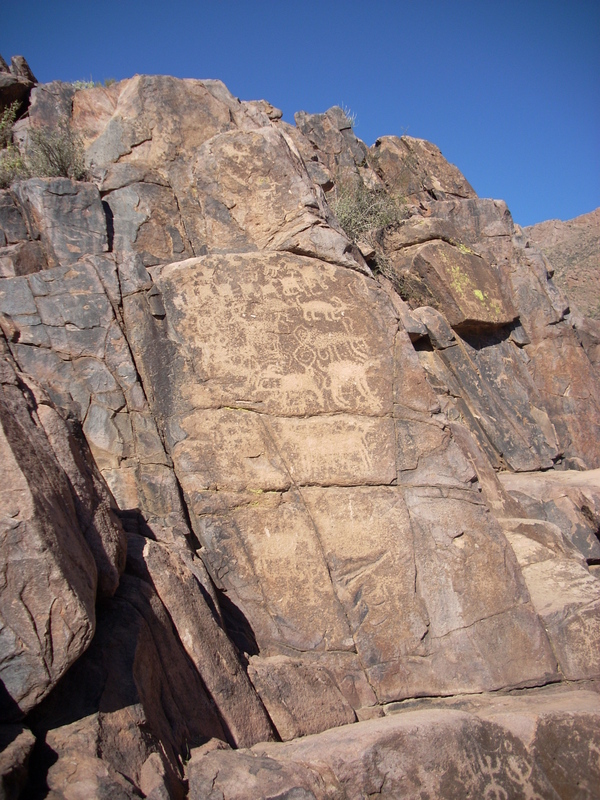 These petroglyphs are located at the end of the Hieroglyphics Trail, a short 1.1 mile hike from the trailhead near Gold Canyon, Arizona. 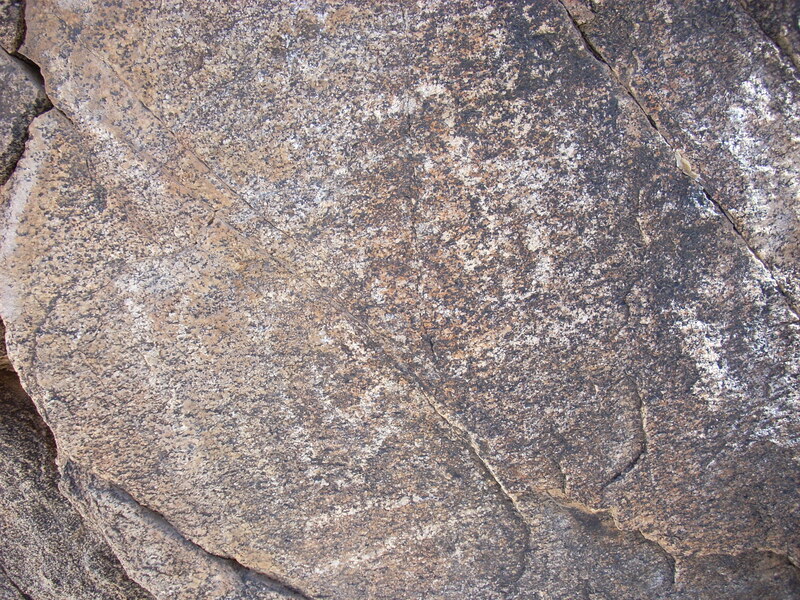 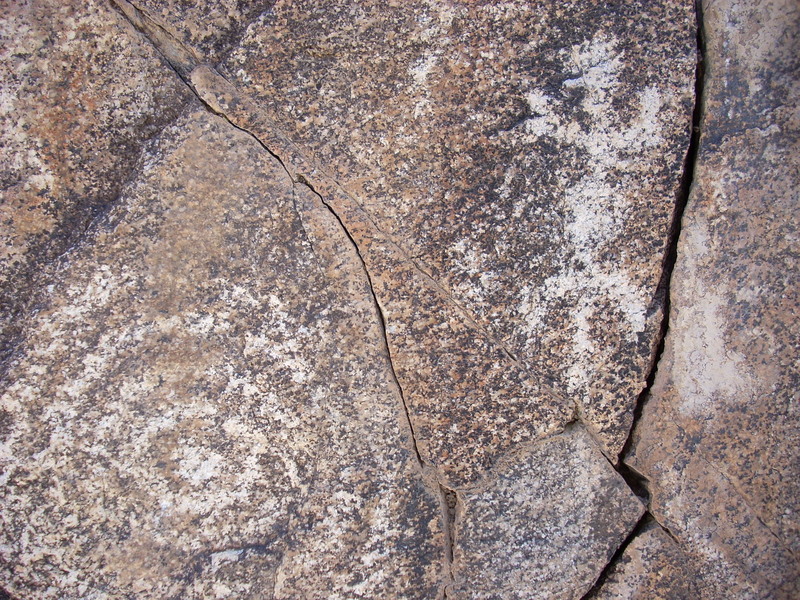 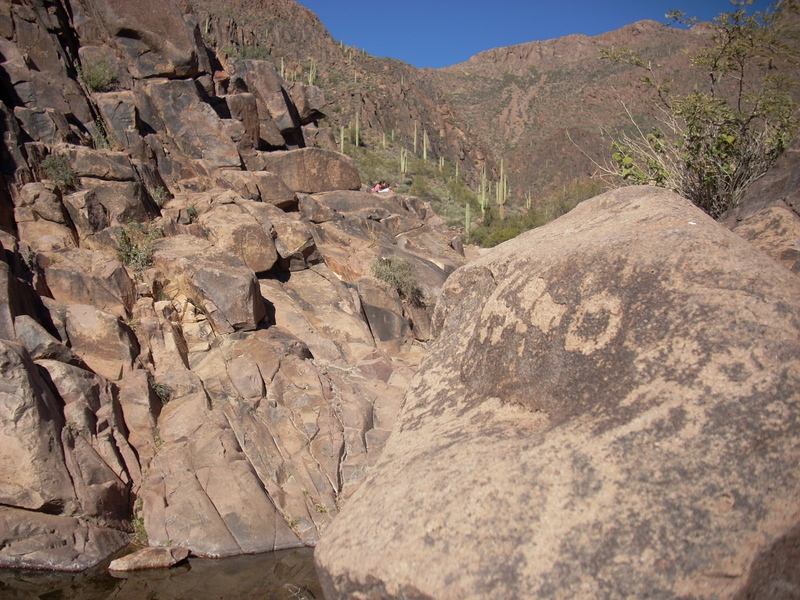 The drawings surround the sides of Hieroglyphs Spring, underneath Superstition Mountain. 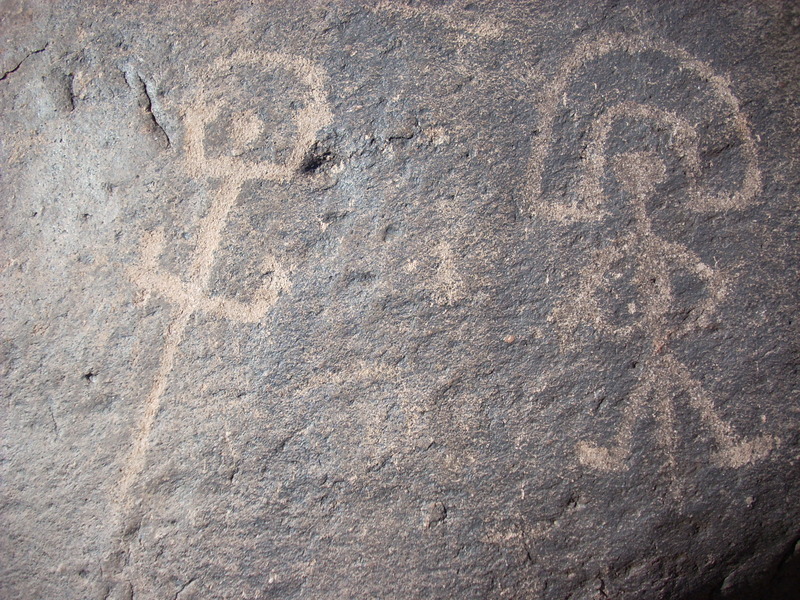 Many are very clear and detailed. 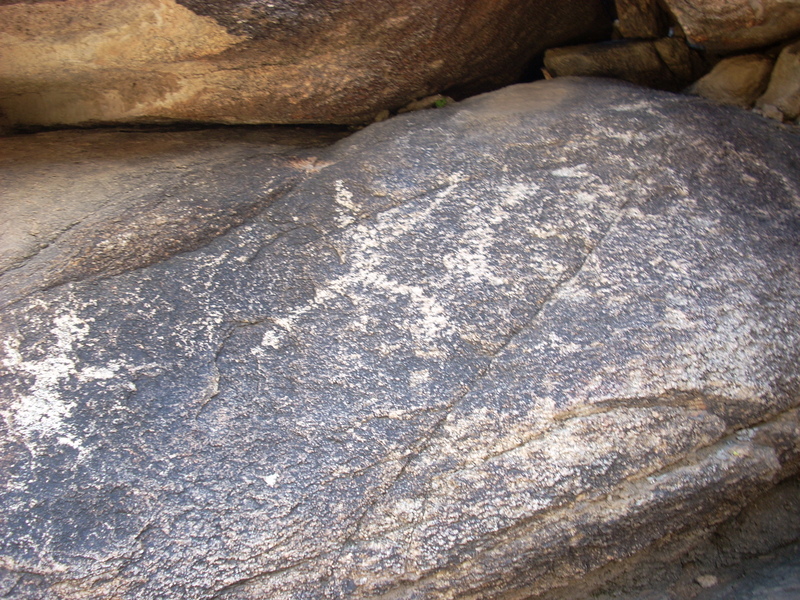 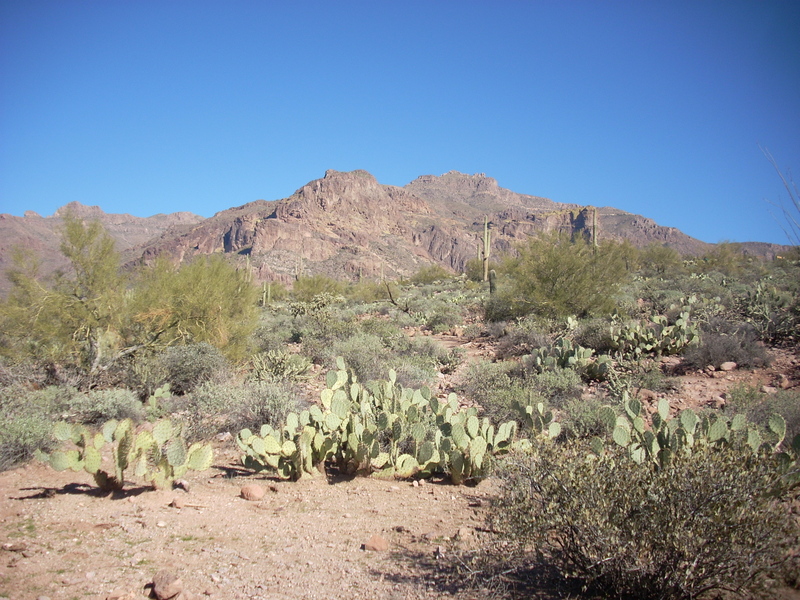 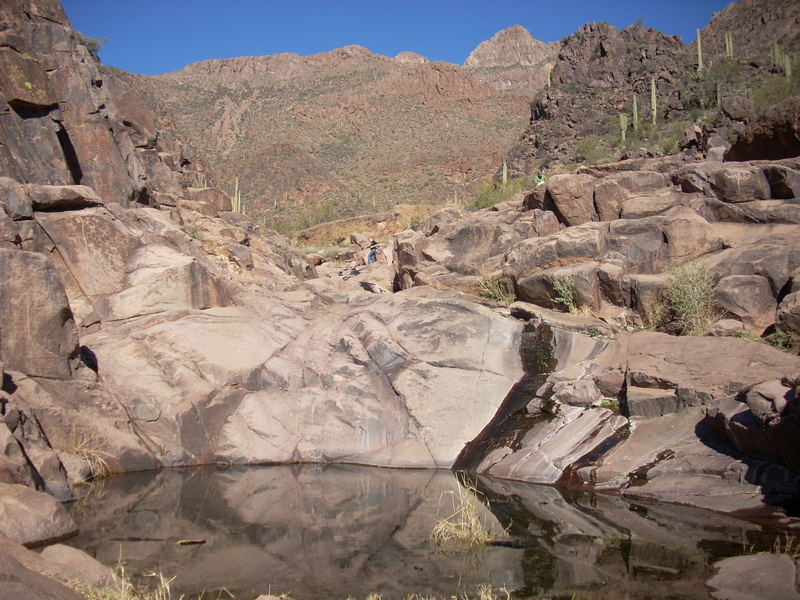 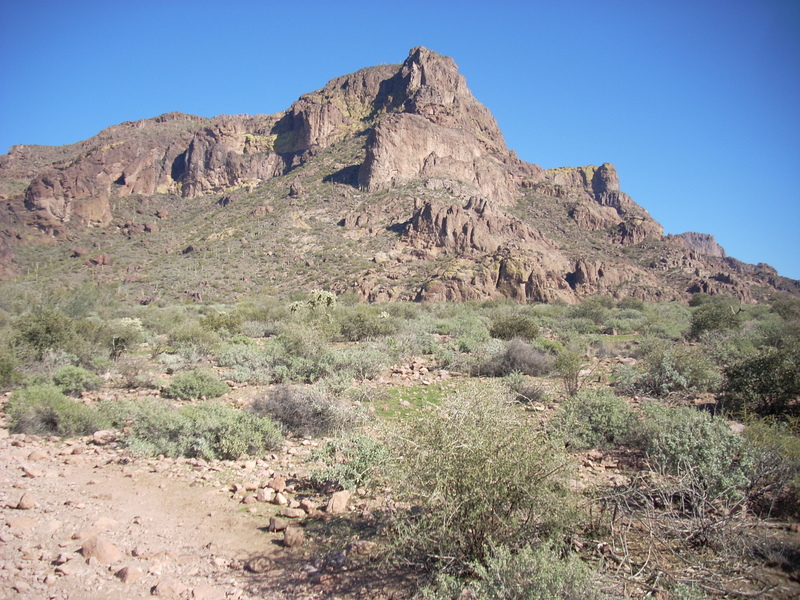 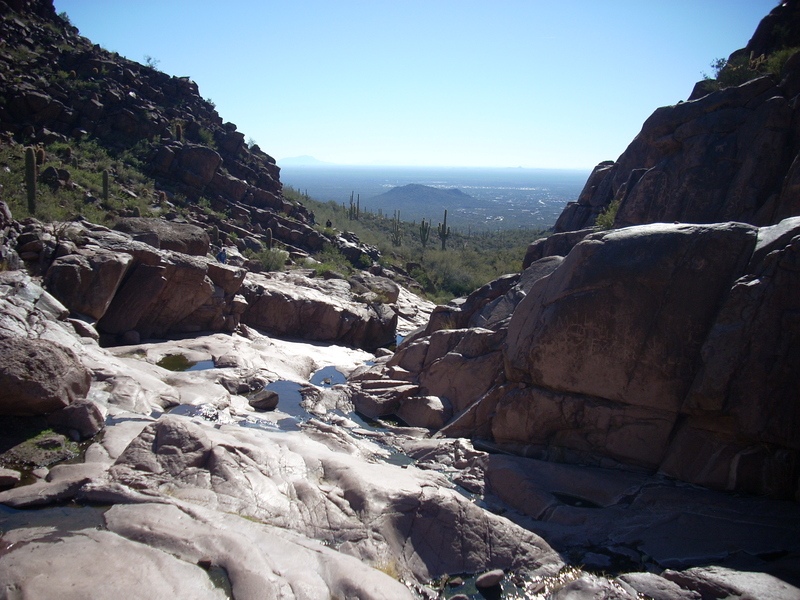 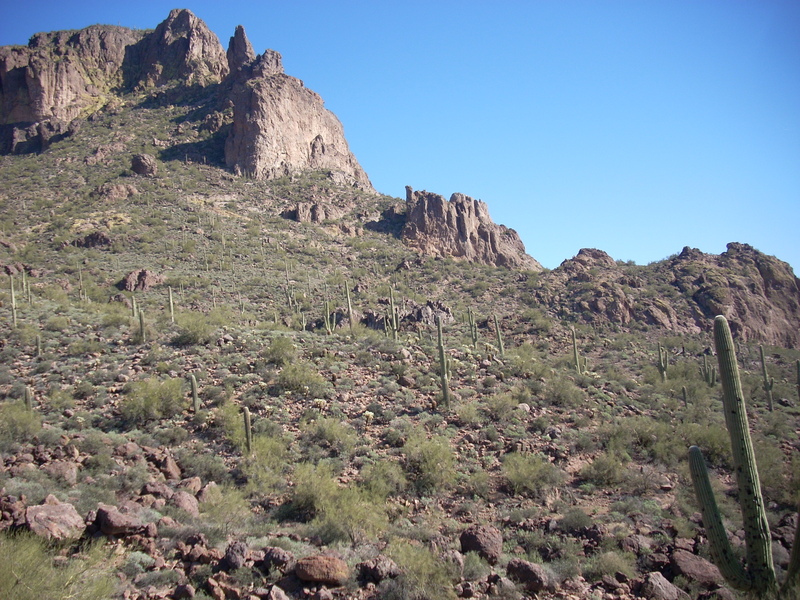 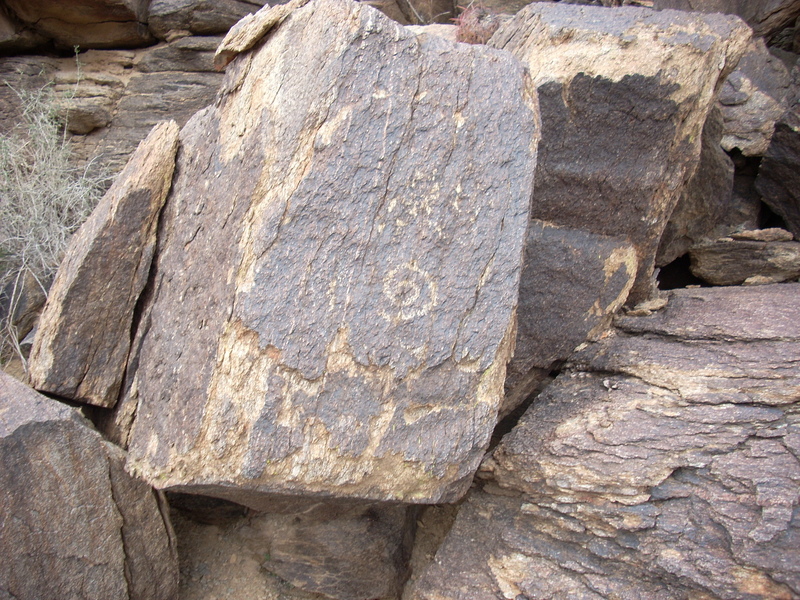 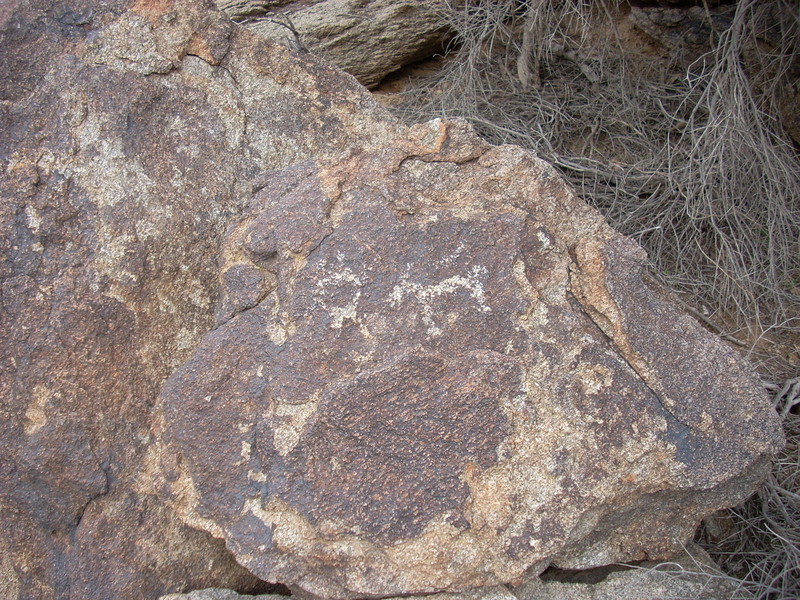 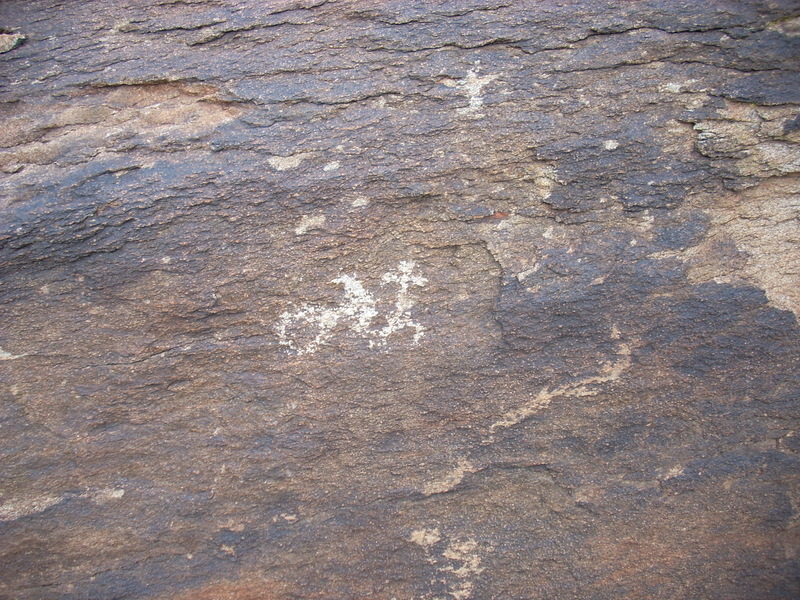 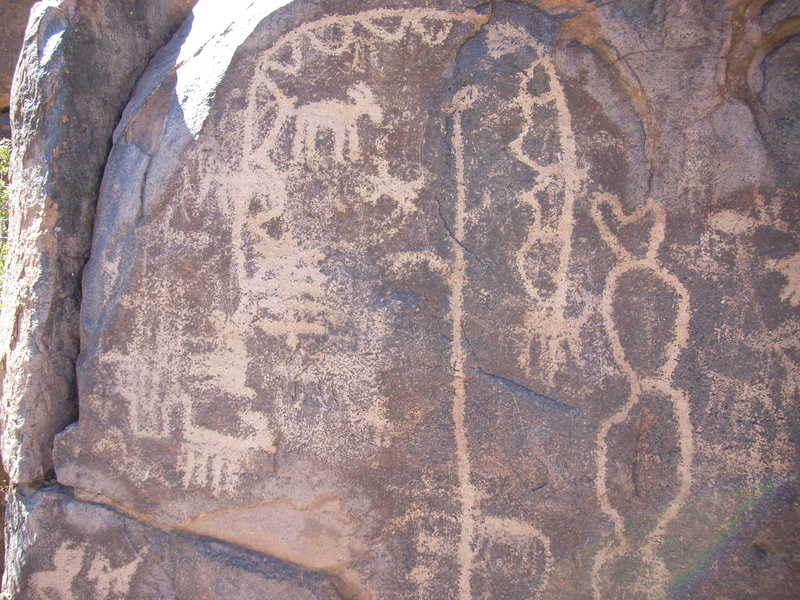 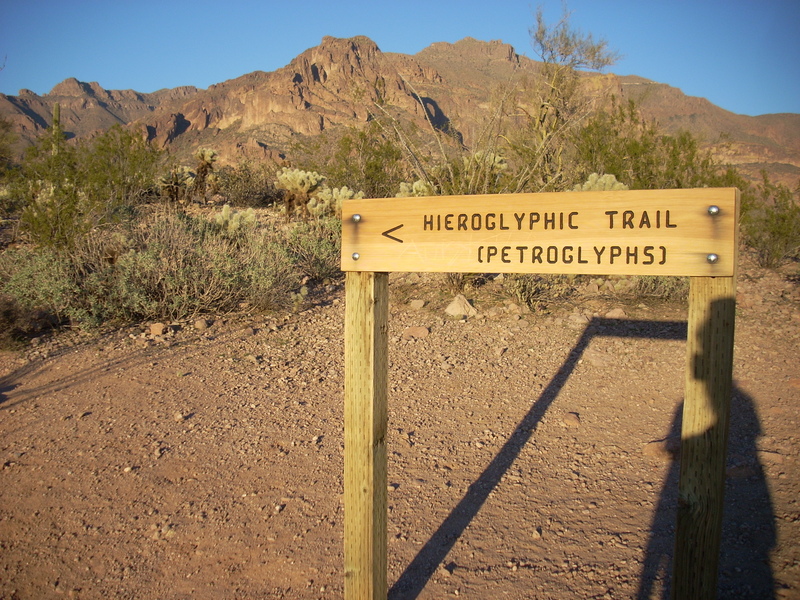 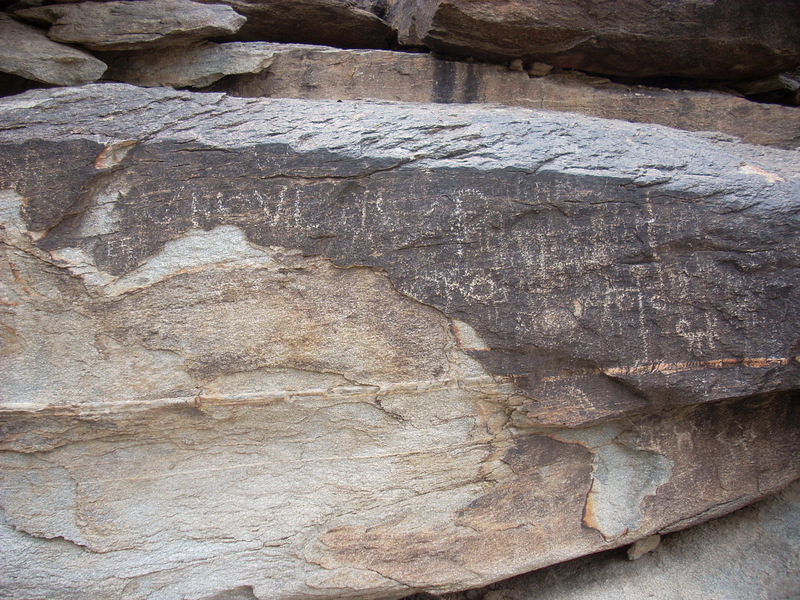 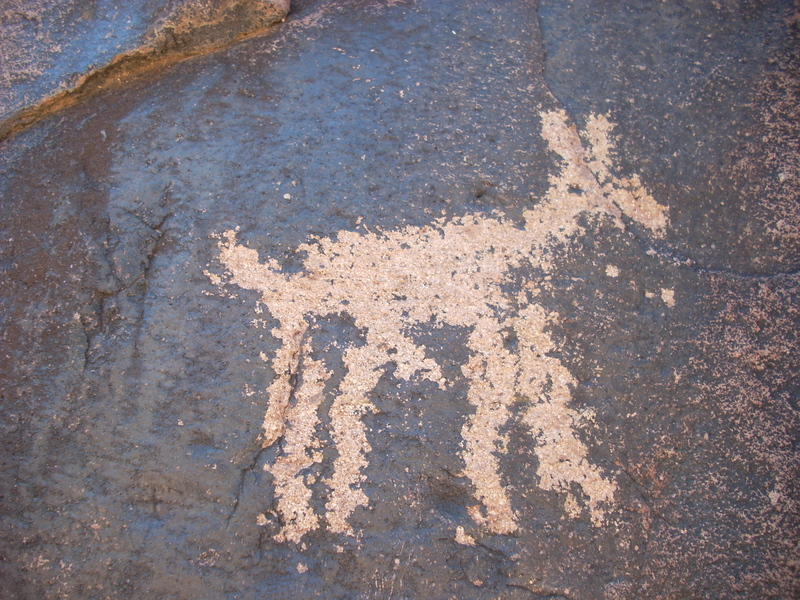 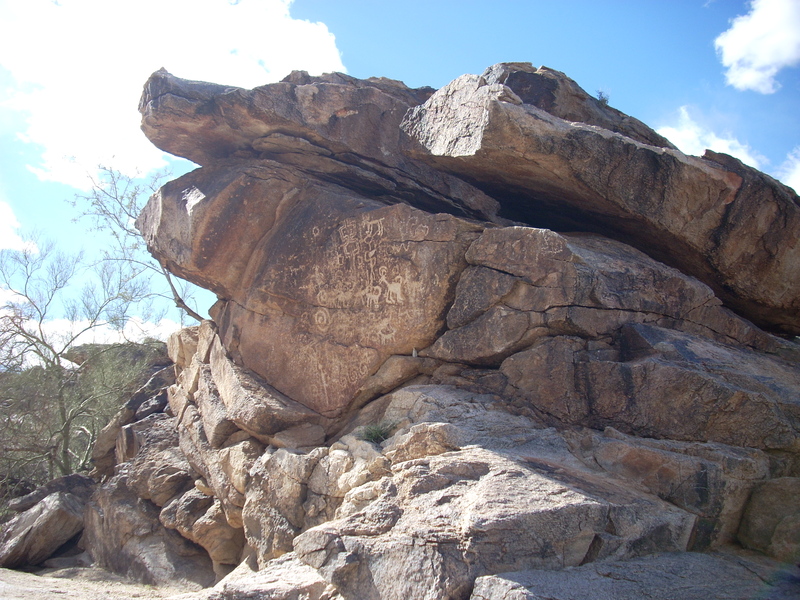 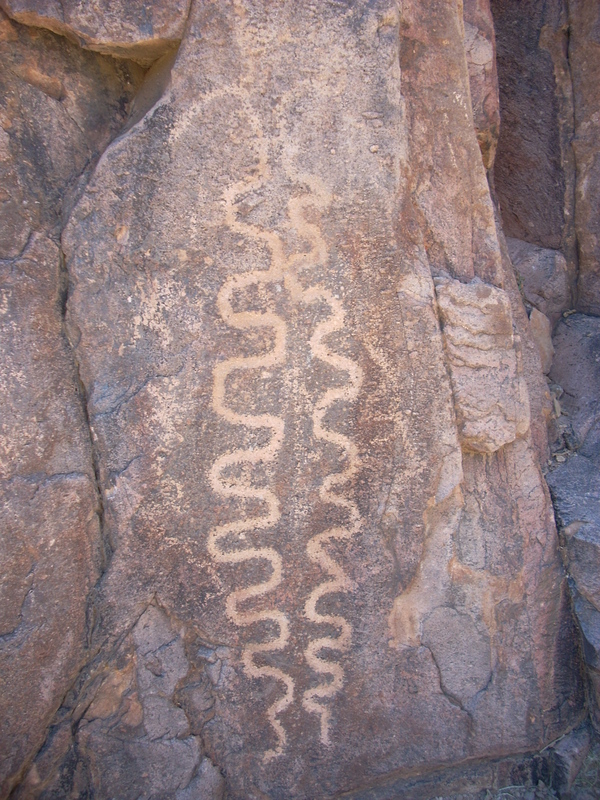 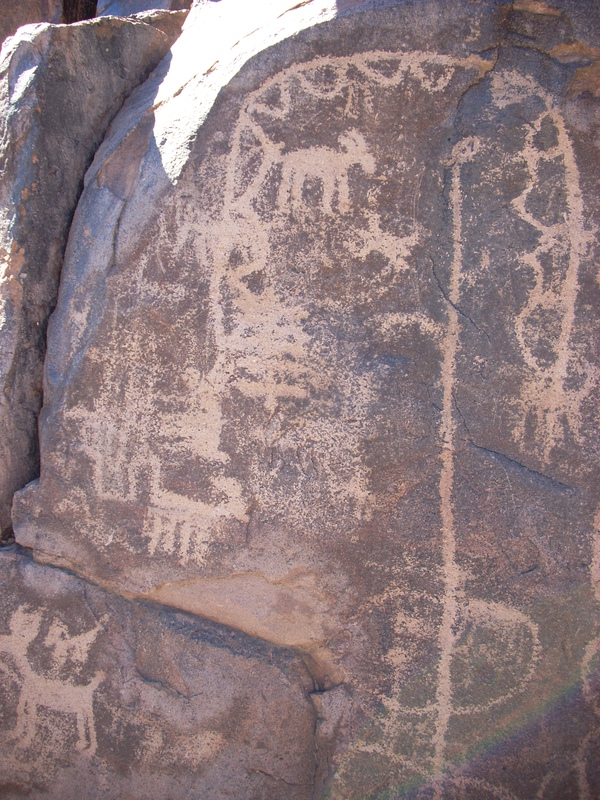 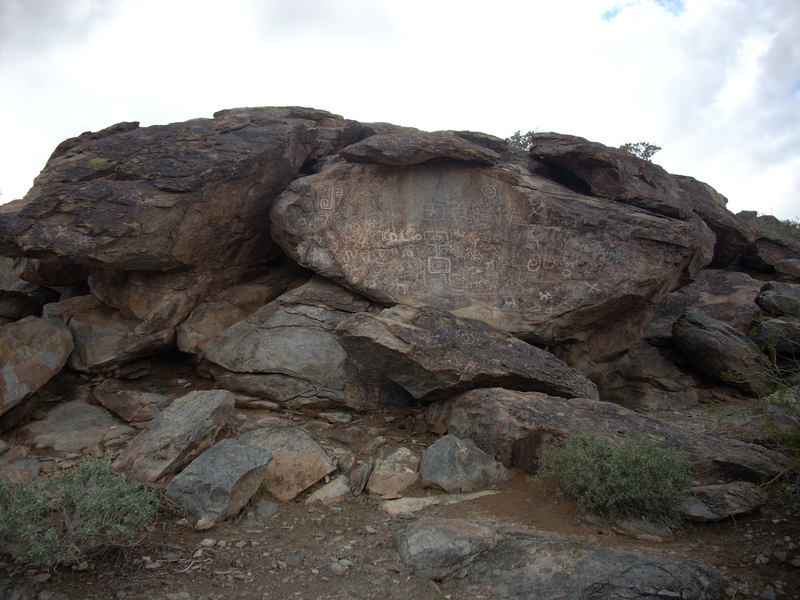 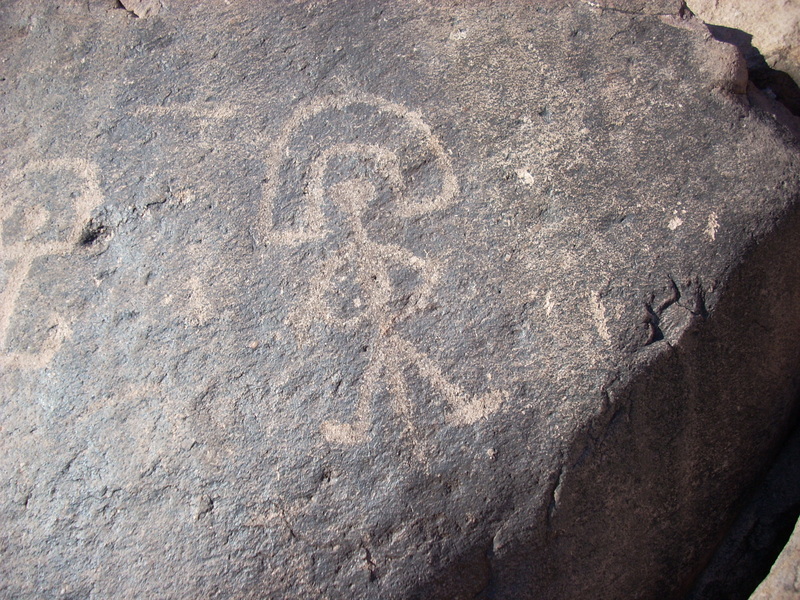 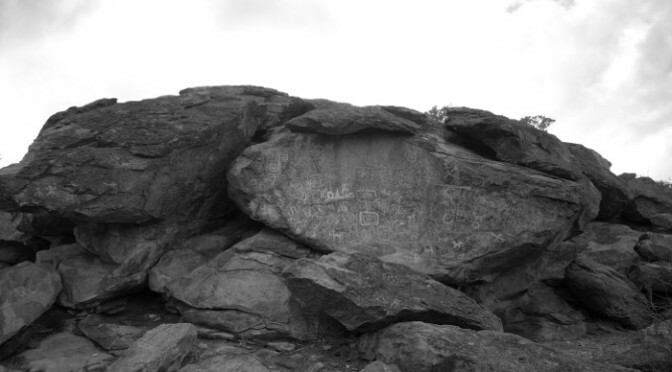 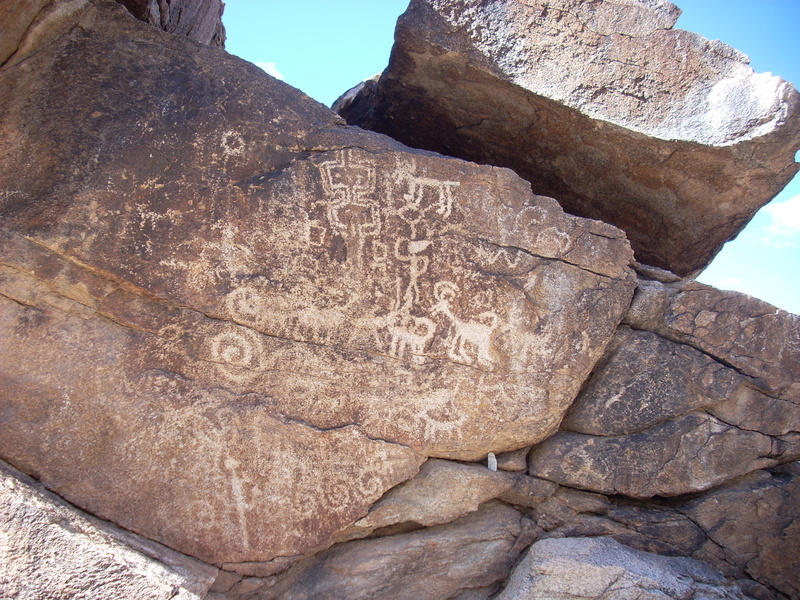 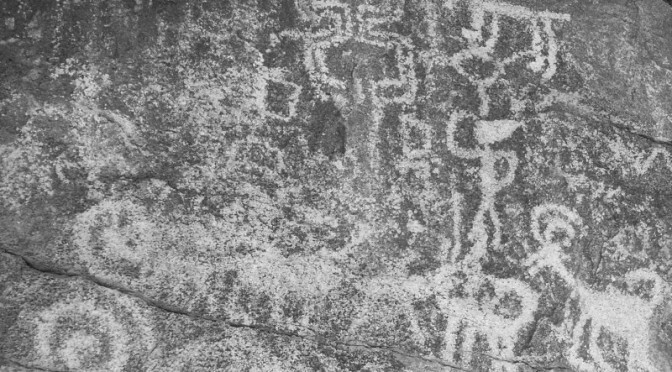 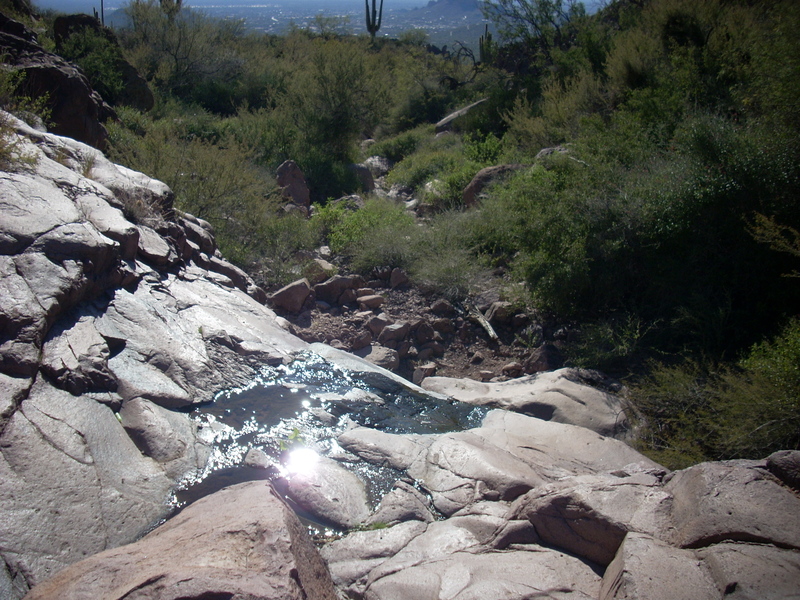 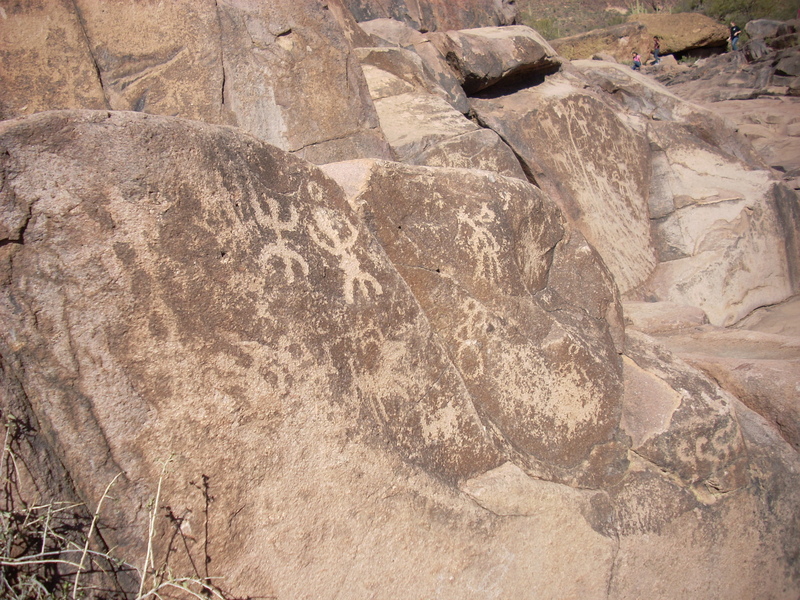 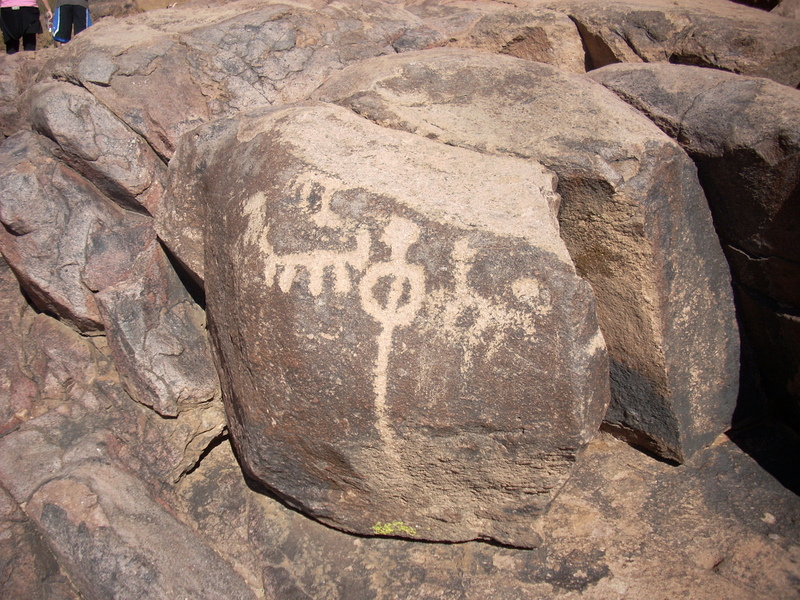 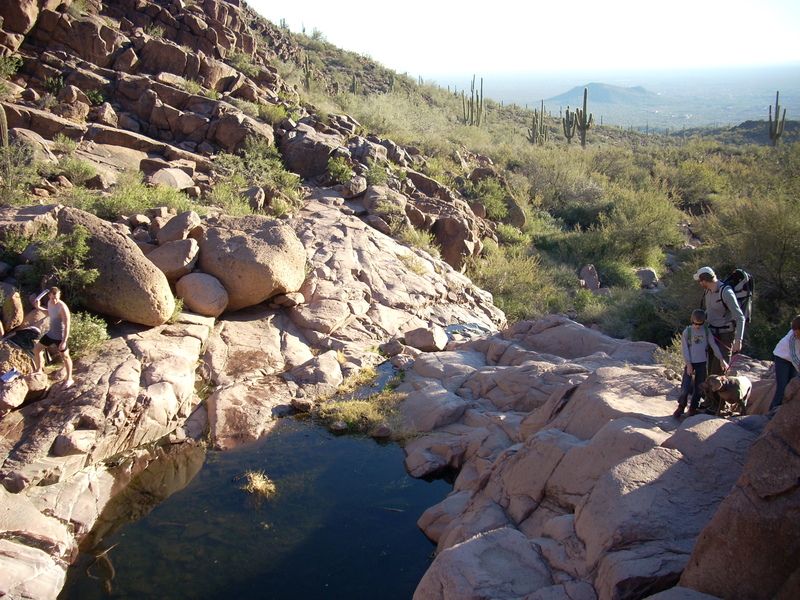 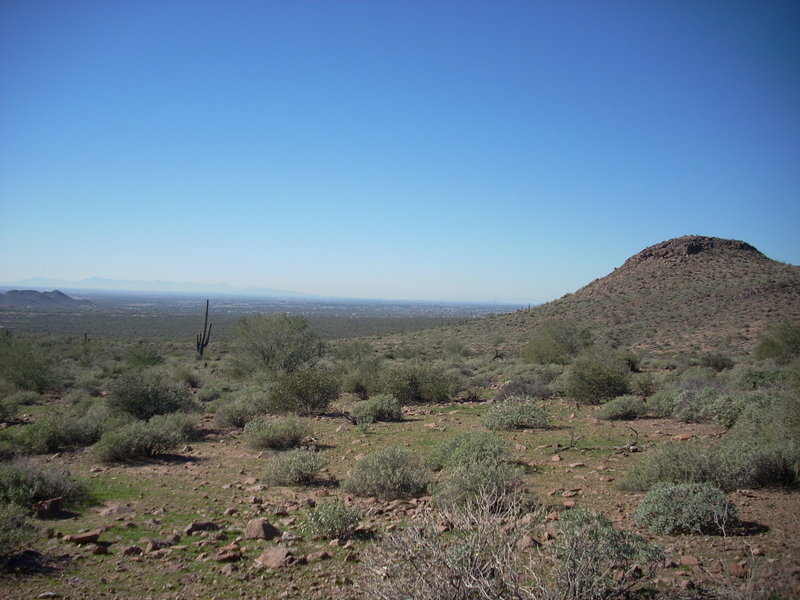 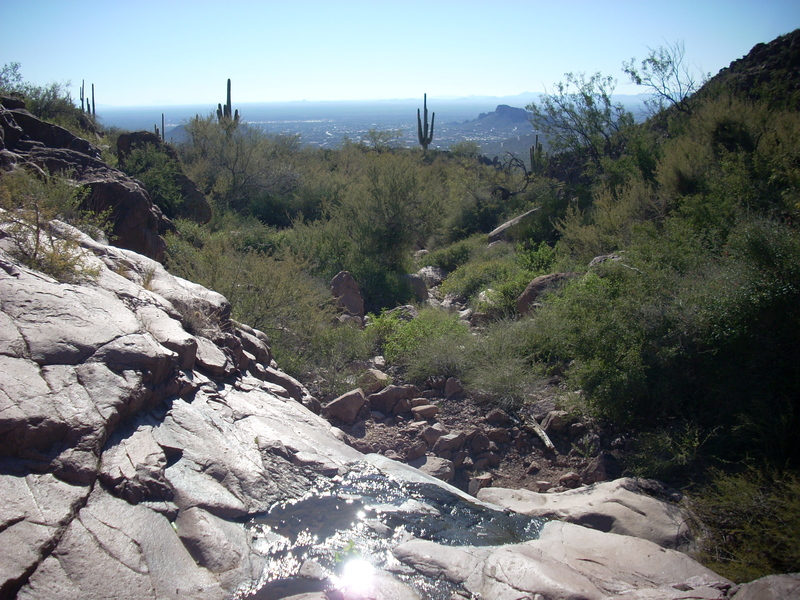 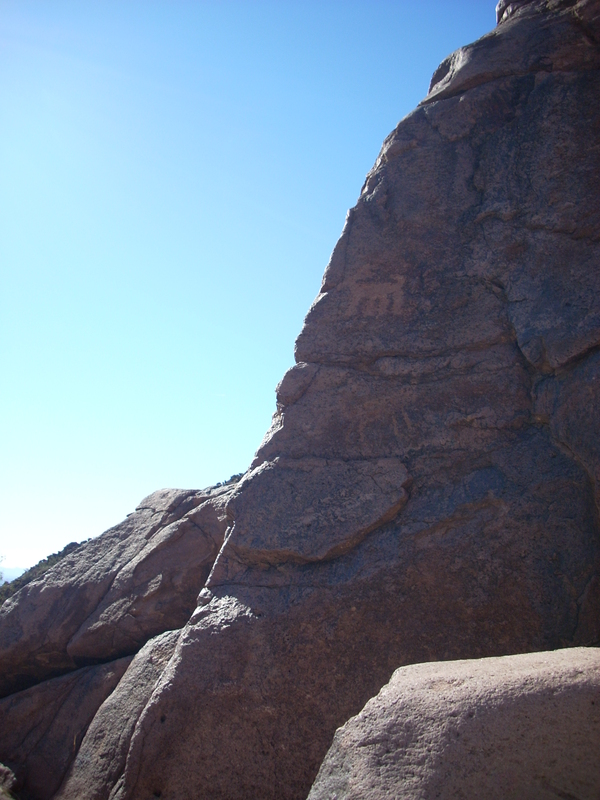 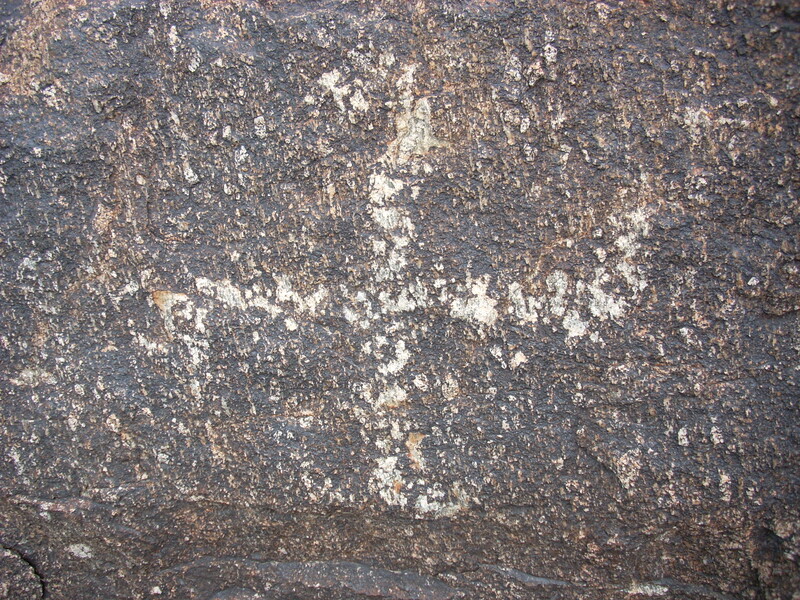 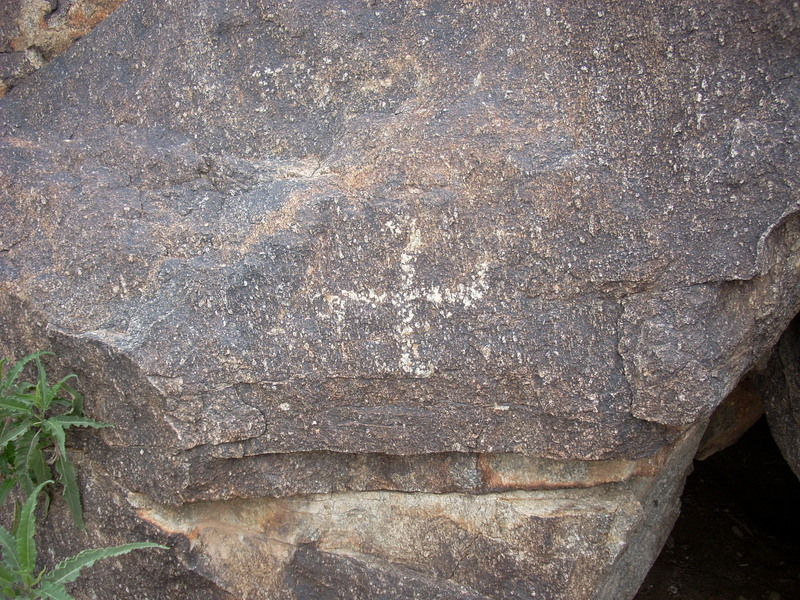 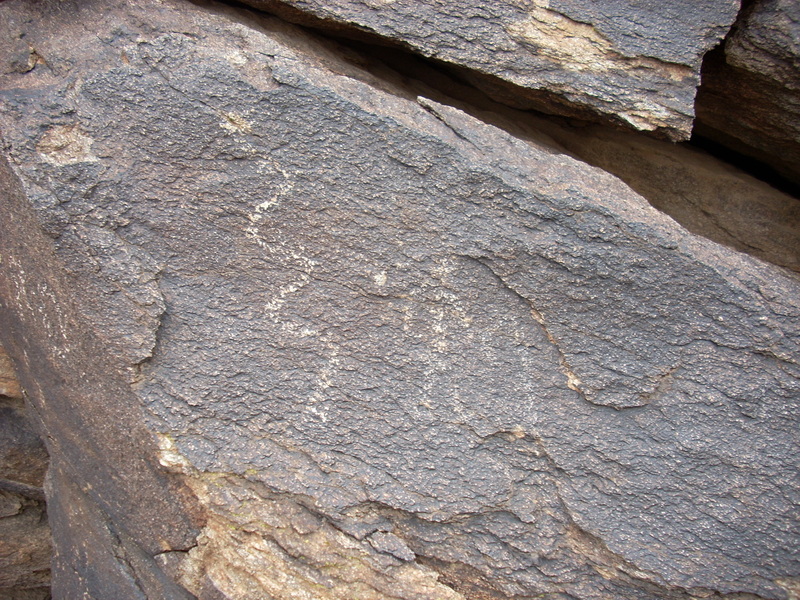 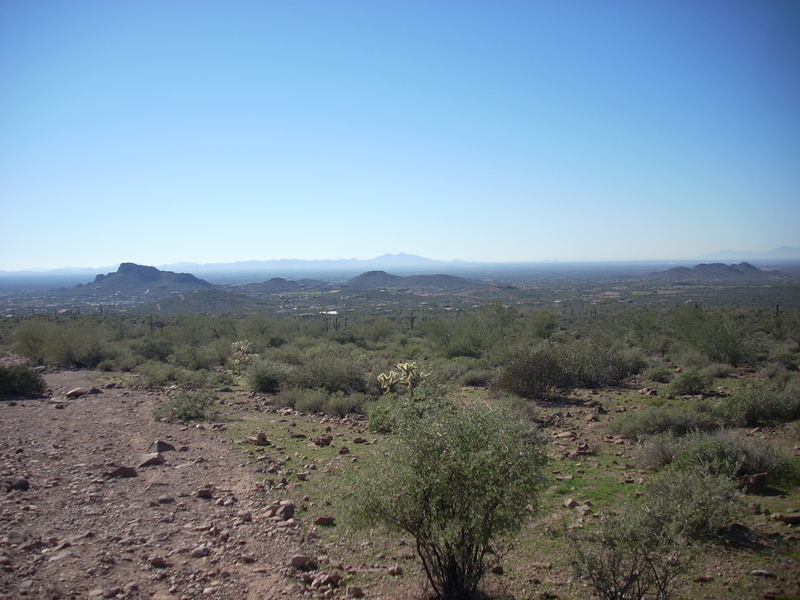 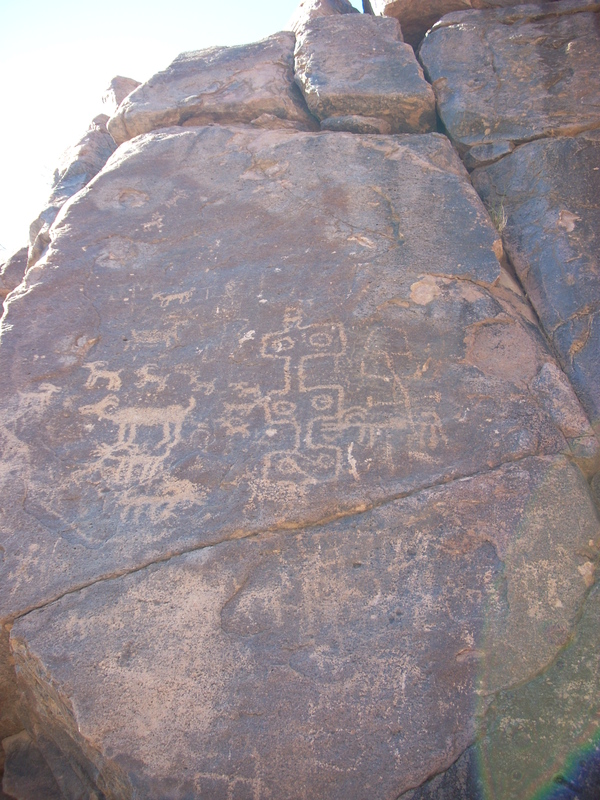 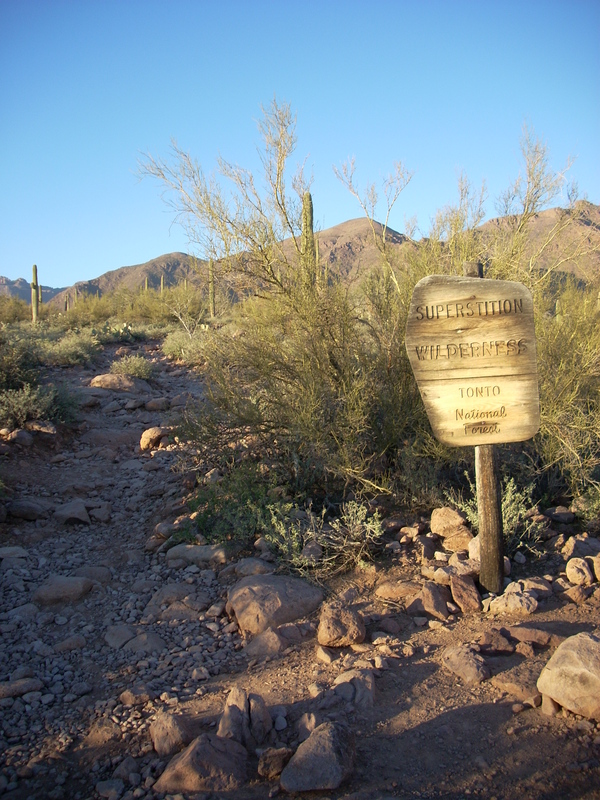 Superstition wilderness area Forest Service website – contains a PDF with information about Heiroglyphics Trail.